Karen Corcoran, having raised three daughters, has had much experience in hairstyles. She has been Image and Wardrobe Coordinator for many years with Theatre on Ice and Synchronized Ice Skating Teams competing at the national and international levels. Karen has been with CYT for 1 year and works actively with the performers to unify the look of the cast. Shanna graduated from Wagner College with a B.A. in Elementary/Special Education and Fine Art. She has worked with children at Government Center Child Care Corp. in Boston and as a private nanny. Most recently Shanna has worked at the Corwin Russell School at Broccoli Hall teaching art in Sudbury. Currently she is designing costumes for CYT. Shanna grew up at Concord Youth Theatre, taking classes starting at age 8, and has not left yet. Hannah Flint holds a B.S. in Theatre from Northwestern University and a Masters in Education from Harvard University. She spent seven years in Los Angeles working in both the business and creative sides of television before making the happy decision to return to her role creating theater with young people. She has since directed at the Harvard-Westlake School in Los Angeles and coached Forensics at Nashoba Brooks in Concord. Hannah is a proud CYT alum. Sherie Ouellet received a degree in devised theatre from Pace University where she learned the power of collaboration. She believes strongly in teamwork and expresses the importance of the collective ensemble with every show she directs. Sherie most recently directed Shakespeare’s A Midsummer Night’s Dream at Middlesex Summer Arts this past summer. Sherie is a proud CYT alum and is happy to represent such a wonderful organization. Rene Pfister is an Assistant Professor at Berklee College of Music where he directs the Musical Theater Ensemble and works with the Contemporary Musical Theater Initiative. He is also Director of “Make your Life a Musical,” an event company that creates musicals out of people’s lives. He first started writing children’s musicals with CYT in 1992 and has created 15 original musicals from them in that time including: A Wrinkle in Time, Emperor’s New Clothes, Robin Hood, Pinocchio, The Snow Queen, Gulliver’s Travels, The Pied Piper, and Alice in Wonderland. In 2015 he was the recipient of The Guilford Residency which sponsored his latest CD project, Alice in Wonderland: A Storybook Musical CD. Brian is a graduate of New York University’s Tisch School of the Arts, where he studied acting, directing and playwriting. He has also studied in Florence, Italy, where he learned the crafts of Clown and Masked Renaissance theater. When he is not teaching CYT’s summer courses, he lives most of the year in NYC where he works as an actor-director-playwright, and teaches with the non-profit, Zara Aina, which uses theater education as empowerment for at-risk youth.  Melanie has been a part of the Concord Youth Theater community since 2005 and an employee since 2012. She has been co-directing the CYT summer program for the past two years and directs Playtime Theatre. She graduated from Brandeis University in 2014 with a BA in Education Studies and Theater. Currently she is studying drama therapy at Lesley University. Joey Talbert received her bachelor’s degree in early childhood education with a minor in theater from UNH. She earned her M.Ed. in creative arts in learning from Lesley. She has been teaching drama and telling stories professionally for over 20 years. In addition to CYT, Joey teaches at The Performing Arts Center of Metrowest, runs a drama camp at the Hopkinson YMCA each summer, and is a drama specialist for two local preschools, LEAP and Milldam. Joey is thrilled to have found a career combining her passion for teaching young children with her flair for the dramatic! Jane is a native of Dallas TX.